The carbon Footprint makes up 60% of humanity’s Ecological Footprint. Not only is decarbonizing the economy our best possible chance to address climate change, but it would also vastly improve the balance between our Ecological Footprint and the planet’s renewable natural resources. Over 150 years ago, the carbon Footprint of humanity was close to zero. If we want to live up to the commitment of the 2015 Paris Climate Accord, the carbon Footprint would have to be zero again before 2050. Let us explain: The 2015 Paris Accord on Climate commits to limiting the global temperature increase to below 2°C (or even 1.5°C). Achieving this requires capping the concentration of greenhouse gases in the atmosphere. Where is this cap? We can answer this, but it gets even more technical! Put on your seat belt. The prevalence of greenhouse gases is measured in parts per million or ppm (one ppm means one greenhouse gas molecule per million molecules of air). Reports by the Intergovernmental Panel on Climate Change suggest that the concentration of long living atmospheric greenhouse gases, measured in CO2 equivalents, would need to be well below 450 ppm to live up to the Paris goal (see page 20 in IPCC’s 2014 assessment). This year, the atmosphere contains on average over 410 ppm CO2. When including all other greenhouse gases, the concentration in CO2 equivalents reached 493 ppm in 2017, according to the National Oceanic and Atmospheric Administration (NOAA), the U.S. government’s climate agency. NOAA also reports that the current carbon Footprint adds 2 to 3 ppm of CO2 to the atmosphere per year. Given the high concentration already today, and the continued increase, living up to the Paris Climate Accord therefore means phasing out fossil fuels well before 2050. This is technically possible and financially beneficial. A number of plans have shown this, including those of Project Drawdown and WWF (both NGOs), of McKinsey (a business consultancy), and of the government of Scotland. The latter may not even be the toughest one. Reducing the carbon component of humanity’s Ecological Footprint by 50% would get us from consuming the resources of 1.7 Earths down to 1.2 Earths. 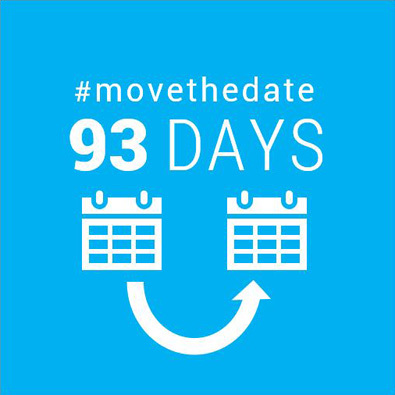 This corresponds to moving the date of Overshoot Day by 93 days, or about three months. Environmental and financial benefits could be produced immediately, as off-the-shelf, commercial technologies for buildings, industrial processes, and electricity production already exist. 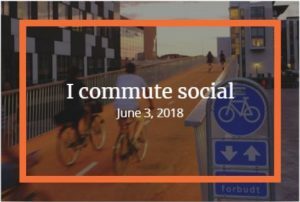 Researchers from Global Footprint Network and Schneider Electric estimated that the current reduction potential, by retrofitting existing installations, could move Overshoot Day at least 21 days, without any loss in human comfort or economic productivity. 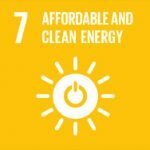 This aligns with the UN Sustainable Development Goal 7 Affordable and Clean Energy, which calls for substantially increasing the share of renewable energy in the global energy mix by 2030. Reducing the carbon component of humanity’s Ecological Footprint by 50% would move Earth Overshoot Day by 93 days, or more than three months. Existing off-the-shelf, commercial technologies for buildings, industrial processes, and electricity production could move Overshoot Day at least 21 days, without any loss in productivity or comfort, according to an analysis by researchers from Global Footprint Network and Schneider Electric. 2.3 billion people in the world who have poor access to energy.